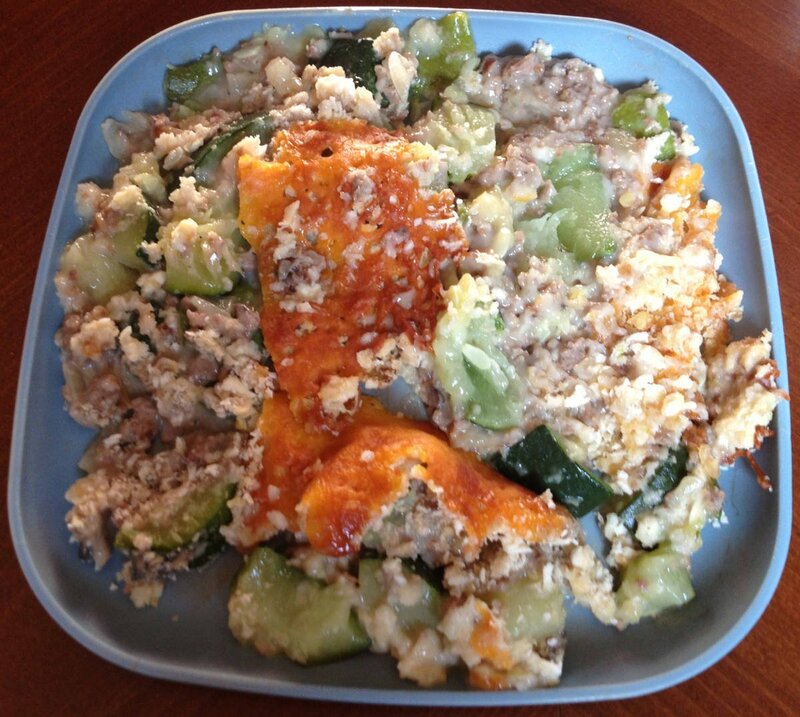 Dice the zucchini into quarter- to nickel-sized pieces; spread in a 9″x13″ pan. In a large skillet, brown the ground beef and onion; drain off any excess fat. Add soup and stir well. Spread mixture evenly over the zucchini; sprinkle with crackers and cheese. Bake approximately 10 minutes, or until the cheese is melted.